It's ideal for use in public places such as park, pool, beach, campsite, forest, mountain areas or national parks. It is supported by flexible steel frame that are sewn into the fabric.Just taking the carrying bag around and unfold the tent. 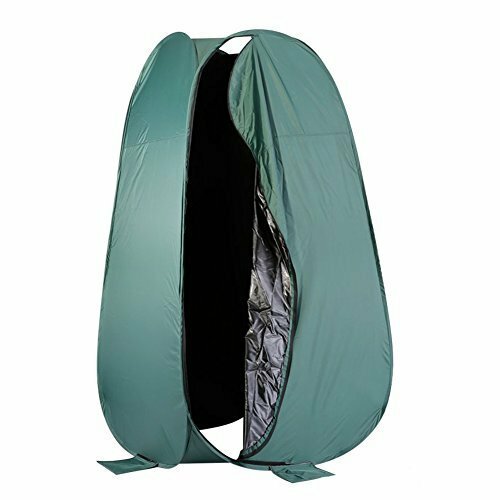 This portable pop-up tent is a great way to make a private shelter for toilet,changing clothes or just camping. Non-bottom design can keep the room tidy,no need to take off your shoes to get in and more convenient to be folded. The zipper door is easy for entry or exit.